Once you are done with filling all these fields you need to move on to “Correct Slide Tab”. 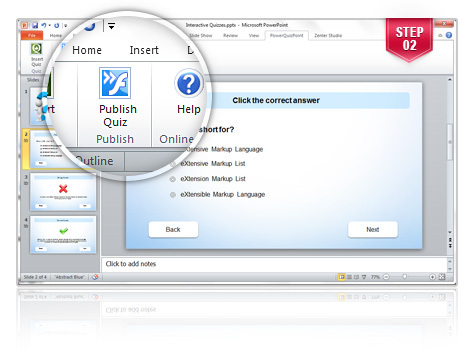 F. Message box which allows you provide the right answer for that question. 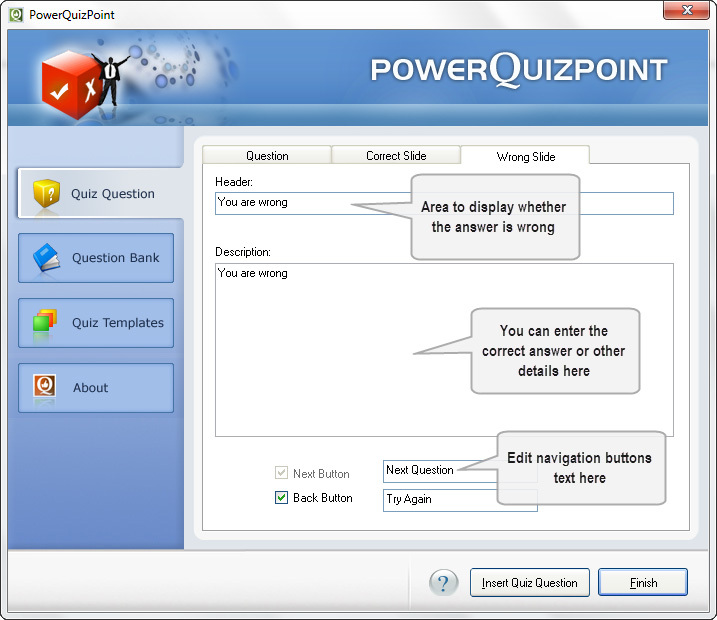 Now you can see that the question is being inserted to PowerPoint. You need to repeat this procedure for inserting your desired no of questions for you quiz. After this you need to click finish button. 3. Once Publishing is done, you will have two options to save the quiz. "Save as swf" and "Save as Exe". Select the option of your choice. 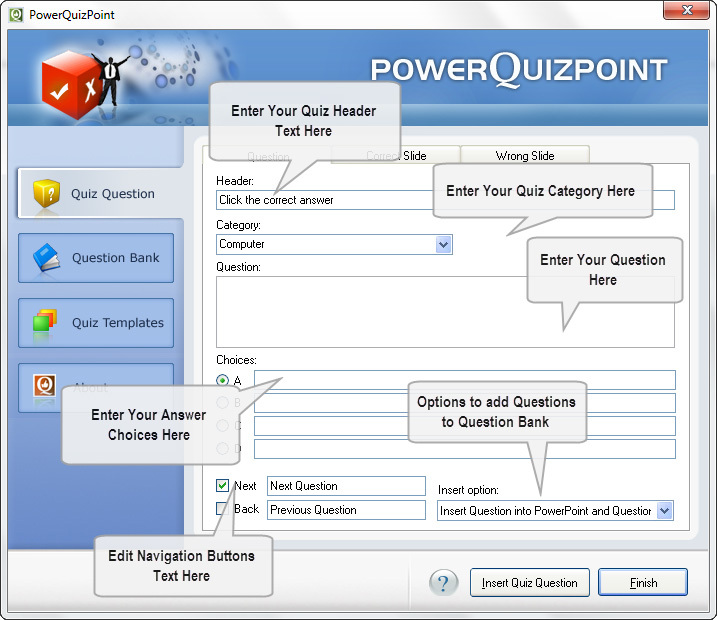 PowerQuizPoint provides you with an option for saving the questions(category wise) in a question bank. It even preserves the format of the text also. 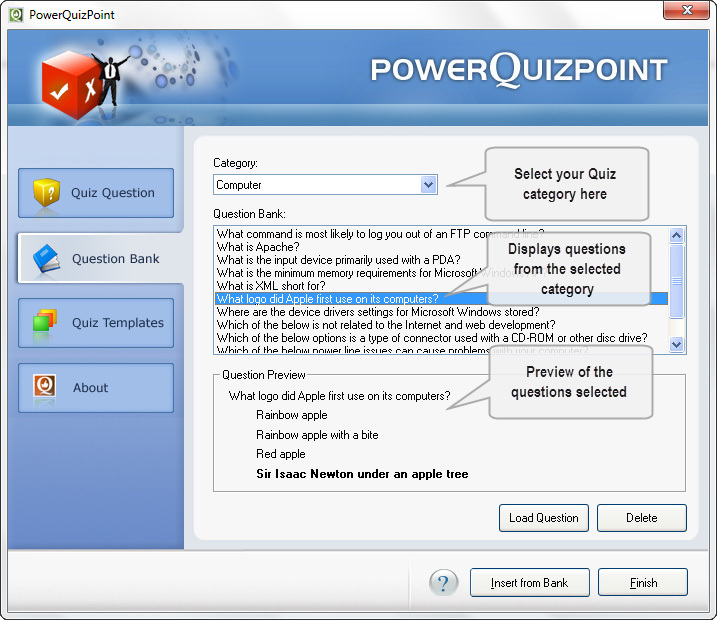 Users can edit the question by selecting "Load Question" button as in the dialog shown above. An option to delete a question is also provided here. 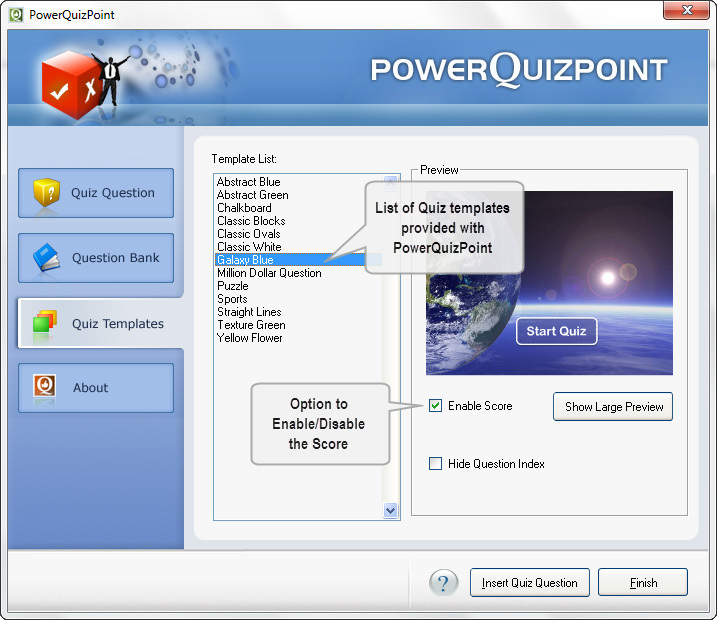 PowerQuizPoint provides users an option to select mindblowing quiz templates from its gallery. They are designed specifically to suit different needs.